Going vegan (or even vegetarian or just including a few meat-free days in your diet) is one of the best decisions you will ever make – well done! However, in our society where vegans form the minority, it can pose some challenges. These are just some tips that I can think of that may make your transition easier. When going to a restaurant for supper, don’t assume that they will have something vegan. MOST of the time they will – even if it is just potato chips or dry bread – but they may not….Always either do an internet search for their menu or call and ask the manager or chef if there are any vegan items. (Don’t assume they know what vegan means – say, “I am vegan – that means a vegetarian who doesn’t eat any dairy or egg either.”) If there are not, ask if they could accommodate you. I have been surprised how many chefs say, “Let me call you back in 30 minutes” and they then call me back with a list of 7-8 options! Happily though, most restaurants can easily veganise many of their usual menu items for you. eg – pizza without the cheese (add lots of yummy veggie toppings and you won’t even miss it), tomato-based pasta, interesting salads without cheese/meat, vegetarian burgers (just check that the patty doesn’t contain cheese/egg) without cheese, baked potato stuffed with pan-fried mushrooms, toast with jam, chips, onion rings etc. You can usually find a decent main meal to veganise, but if not, fill up on side dishes like veggie side dishes, onion rings, chips, wedges, salads etc. It’s not ideal to fill up on chips or side dishes, but as a vegan you eat such amazing, healthy food daily, that you’ll survive one not so amazing meal out. Chinese, Thai, Vietnamese, Indian and Italian restaurants are also usually great options as many of their foods are naturally vegan. Always carry some food with you – just something small. Most the time, finding a snack on the run is not a problem – buy a packet of nuts, a packet of crisps, a fruit etc. I have, however, occasionally found myself in a bit of a pickle where none of the crisps are vegan, the sandwiches are not gluten free and are full of butter/mayo, the chocolates are not vegan etc. Just a little bag of dried fruit, nuts, trail mix etc in your handbag, can make all the difference under those circumstances. When invited over to a friend for dinner, call ahead and let the friend know that you are vegan. Explain what that means….Many people do not understand what a vegan diet actually entails. People often find it intimidating to cook for a vegan as they may not know how to prepare “fancy” vegan food. Reassure them that you are not fussy, you eat anything that is plant-based and don’t need anything particularly fancy and ask what you can bring – a vegan dish, perhaps a dessert. In my experience, most do not want you to bring anything, but always offer. When at the dinner, even if the food is a bit bland, bear in mind that the host may not be used to cooking this way. Appreciate the extra effort, love and consideration put in by the host and thank the host profusely for catering to your needs. Try not to be too sensitive with regards to people repeatedly asking questions or making antagonistic comments about your new lifestyle. A balanced plant-based diet is one of the best health decisions you can make – it has been shown to reduce your risk of type 2 diabetes, various kinds of cancer, heart disease, cholesterol and often improves inflammatory diseases like rheumatoid arthritis. Unfortunately, many people are not aware of the research done on this and are under the misconception that a plant-based diet can not provide all your dietary requirements. Some others may be aggressive about the fact that some plant-based eaters do so mainly for ethical reasons (not to support the cruelty in the dairy/egg/meat industry). Whatever the reason, if people ask questions out of sincere interest – do not be defensive – get yourself educated on the health benefits of your lifestyle, know why you have chosen this lifestyle and share this information with them in a non-judgmental manner. Some vegans have a tendency to be argumentative and judgmental towards meat-eaters, but a positive/loving approach is always the best approach. Win people over with positivity – don’t alienate them with aggression. For those who are outright aggressive with you (which doesn’t happen too often, but occasionally may happen) – I strongly advise that you terminate the conversation in a polite manner and move-on. While in that negative frame of mind, the person is unlikely to listen to you anyway and you are likely to end up having a very unproductive conversation which will just work up both of you. Long time vegans love bowls like these because you learn to appreciate the taste of nature and with time, you will find yourself enjoying the taste of faux meats less and less. Your cravings for meat will vanish completely – I promise. I used to LOVE a rare fillet steak, eisbein with all that crispy crackling and smoky barbequed pork spare ribs….The truth is, I NEVER crave these things anymore. In fact, the smell and thought of them repels me. 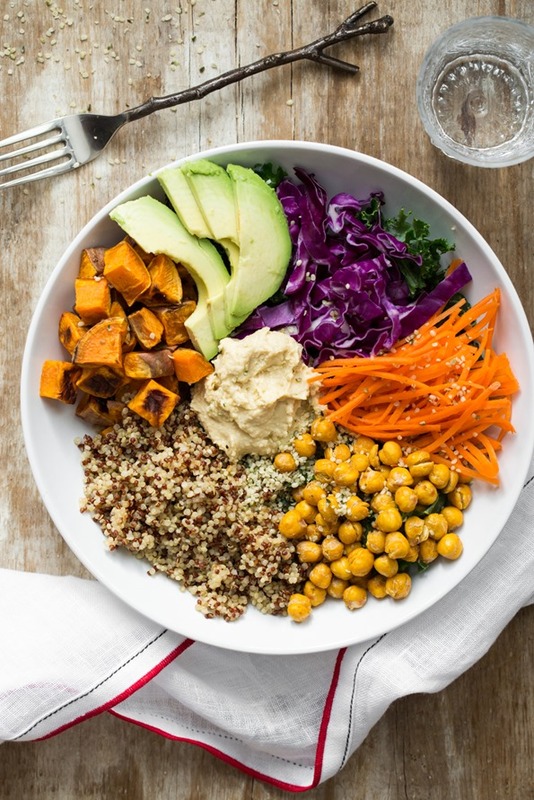 This veggie bowl is getting me salivating though;) You will get there too – hang in there. Attitude is everything. You have just eliminated a range of products from your diet. Now what….Your favourite starter was snails, your favourite mains was roast leg of lamb and your favourite dessert was ice cream! So get new favourites! Playing in the kitchen is fun! And if your first attempt at vegan ice cream fails, try again! 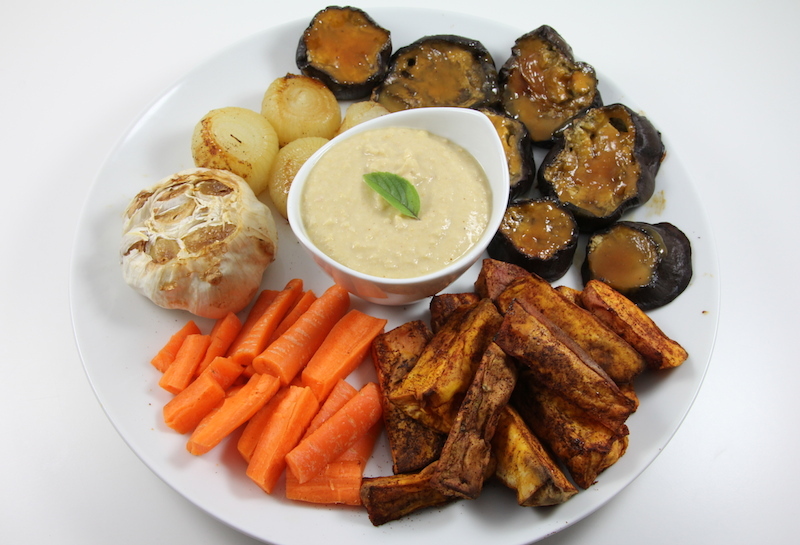 Keep trying new recipes and with time you will slowly build up your collection of your favourite vegan recipes until you have all your old recipes replaced with better ones. For example, after trying 3 mac and cheeses and 3 ice creams, I have finally found a recipe for both that is EVEN better than my non-vegan mac and cheese and ice cream recipes! My husband says that my new mac and cheese is the best he has ever tasted (vegan or not) and he says this new ice cream is as good as any dairy version he has had. Read ALL food labels. You may be surprised to see that certain brands of lemon creams, oreos, rusks and other biscuits that you have always eaten are actually vegan. On the other hand, you may be shocked to see that most margarines, many potato crisps, some breads/rolls and many chewy fruity sweets etc are not vegan…When picking up a product, scan quickly with your eyes to see if there is a section titled “allergens”. If you see eggs/dairy there – it is not vegan. Also read through the ingredient list to double check that is it actually vegan. It may, for example, contain gelatine which may not be on the allergen list. Some sneaky terms to look out for: casein, rennet, and carmine. When attending a dinner/dance, wedding or similar function, although your host may have catered a main meal for you, chances are that you will not get dessert in many instances. If you are not a sweet tooth – lucky you! If you are anything like me, don’t feel left out – just sneak a small decadent chocolate or brownie into your bag and have it while the rest are eating their desserts. With time, you will find it easy to be vegan. As humans, we are very adaptable and with a little time and practice, we get used to anything. It will not always be a challenge. But, for the odd occasion when it is a challenge…When there is a surprise party at work and everyone has lovely cream-filled cake and you are sitting wishing you had something other than your yummy (but not quite cake) baked bean sandwich, remember why you are vegan….Whether for the animals, the environment, your budget or for your health, you are doing a good thing. If you were strong enough to make the decision to go vegan, you are strong enough to pass on having non-vegan items at one meal. Eat as wide a variety of plant-based foods as possible. God gave us all of these beautiful foods for a reason and every plant-based food does something amazing for your body. So if your current diet doesn’t include beetroot, try a beetroot juice, red velvet cake or beetroot chips! The internet is full of amazing vegan blogs. Look up recipes for ingredients you are not used to cooking with and introduce them into your diet. Your body will thank you for the wide range of nutrients you are giving it. Don’t get hung up on protein. Protein is very important and you will get weak if you do not get all your essential amino acids from your diet, but people tend to drastically overestimate the amount of protein that is actually needed. In fact, many vegan athletes and bodybuilders eat a 801010 diet where 80% of their total calories come from carbohydrates and only 10% each from protein and fat. This relatively small amount of protein is all they need to build beautiful strong muscles – as long as their over-all caloric intake (predominantly carbs) is sufficient. Don’t sweat calories either. Look at your weight. Even better, measure yourself. Weight changes with increased muscle mass, water retention etc, whereas measurements show what you care about – they show what you look like. If you have gained 500g, it may be bicep muscle mass. If you have gained 5cm on your stomach, you likely have gained fat. It is easy to gain, lose or maintain weight on a vegan diet depending on what you eat. If you are losing too much weight, then focus on eating more calorie dense foods like nuts, nut butters, potato, sweet potato, bananas, cacao, agave, honey, seeds, breads, coconut oil, coconut, grains….If you are gaining unwanted weight, reduce your serving sizes of the above mentioned foods and increase your servings of foods like broccoli, squash, cabbage, spinach, mushrooms, brinjals/eggplant, baby marrows/zucchini, tomatoes etc as these foods fill you up without a large amount of calories. Don’t bother calorie counting as such though because on a vegan diet, you will likely find that you can eat way more calories than you did before and still maintain your figure because of how your body metabolizes what nature intended for your body to eat. Just follow the principle that vegetables and fruit are unlikely to cause weight gain, but oils, fats, seeds, nuts and grains when eaten in excess, do tend to add on pounds. I hope that you found some of these tips helpful. If you are an experienced vegan reading this, please feel free to add comments below. I am a relatively new vegan myself (from June 2013) and I would be grateful for any tips you can share with me too. You can do it! You deserve it! No tips, but a question. What do you use as a “butter”, specifically for spreading on bread? I’m a bready and love a FABULOUS gluten-free vegan oats-bread I make. A slice or so a day is SUCH a treat for me…. but alas, the butter issue… Suggestions? Thanks! Tricky one…The closest to butter that I have found is Cardin margarine. Of course it is not exactly clean…One clean option is to spread a layer of coconut oil on the bread with some coarse salt ground over. That’s pretty good too although it doesn’t taste quite the same. I will give this matter some more thought and perhaps you’ll be seeing a “butter” posting soon! Looking forward to whatever you come up with!